Kilkenny Heating & Air Serving the Heating & A/C needs of Southern Minnesota. Our company way of doing business is Service First. We understand that you don't want the problem, you just want it fixed. With extensive training and experience we can fix your Furnace or Air Conditioner and restore your comfort. We also offer maintenance and replacement services to stay a step ahead of the problems that can arise from a neglected system. We can help you with your Heating & Air system needs. Contact Us today for a free consultation. We look forward to hearing from you. 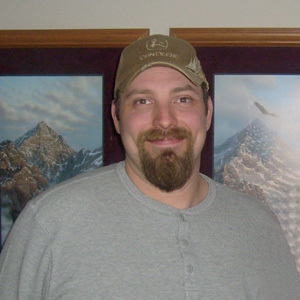 Kilkenny Heating & Air, LLC is locally owned and operated by Clay Jones of Kilkenny, MN. Clay has been serving the Heating & A/C needs of the Southern Minnesota communities of Faribault, Northfield, Elko New Market, Veseli, Owatonna, Lonsdale, Webster, New Prague, Montgomery, Le Center, Le Sueur, Mankato, Waseca and all of the surrounding areas for more than a decade. Servicing all makes and models of Furnaces and Air Conditioning Systems. Furnace and Air Conditioner repairs and replacements for new construction and remodeling projects in the southern Twin Cities metro area including Belle Plaine, Elko New Market, Faribault, Northfield, Kilkenny, Owatonna, Lonsdale, Veseli, Webster, New Prague, Montgomery, Le Center, Le Sueur, Mankato, Waseca and all surrounding areas in southern Minnesota.